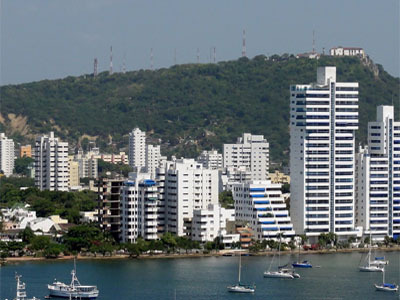 Rosario Islands as well as Playa Blanca are probably the most popular destinations in Cartagena and you must do this boat tour. 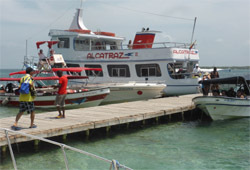 Composed of dozens of islands in all sizes and crystal clear waters, this site has a fantastic reef and marine corals. 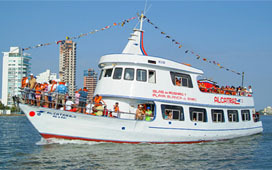 This boat tour is the perfect way to take unforgettable and spectacular memories of Cartagena! 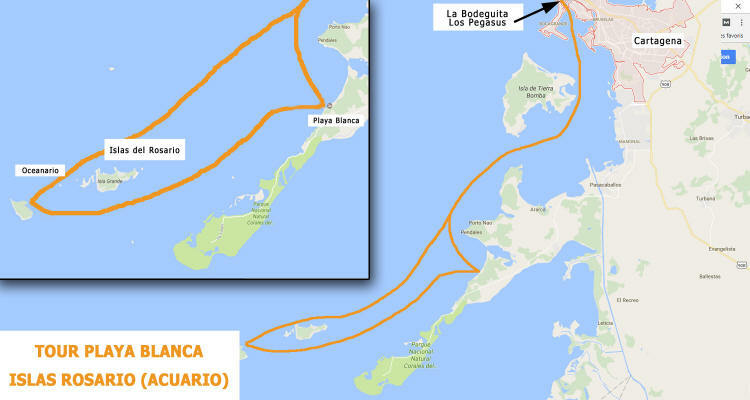 There are also many shipwrecks and memorable historical fights with the pirates that took place on this territory. 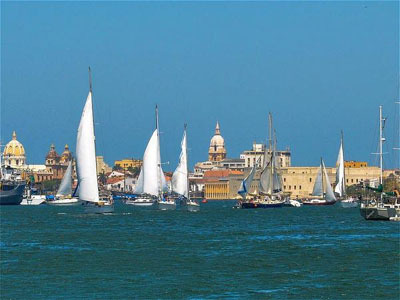 You will discover several fortresses during this tour as the Fort of San Sebastian del Pastelillo which is at the site of the famous restaurant Club de Pesca. 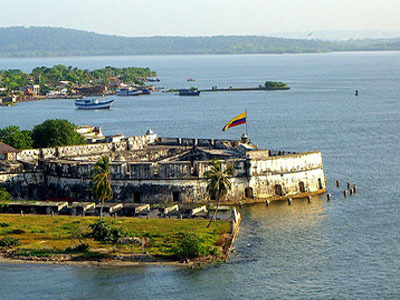 Leaving the bay of Cartagena you will pass by the island of Tierrabomba which houses the fort of San Fernando de Bocachica as well as the San Jose Fort on the other side. 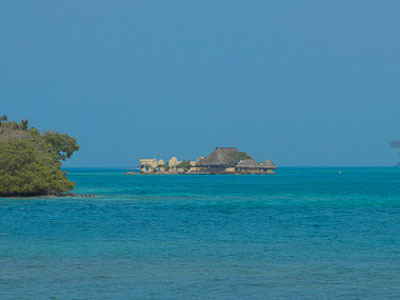 These forts controlled the maritime traffic in the bay in order to prevent the inhabitants from possible attacks by pirates. 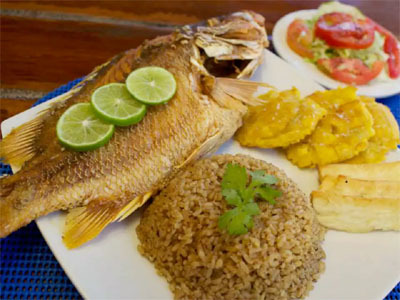 Located near the island of Barú about 1 hour and 30 minutes by boat (or 45 minutes by speedboat), the Rosario islands are 27 islands and offer quiet lodgings and a multitude of activities for all tastes . 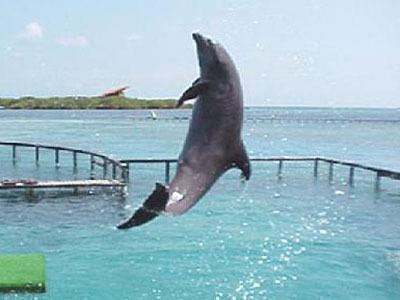 Our tour will make a one hour stop on the island of San Martin so you can visit the aquarium with a dolphin show, see rays, sea turtles and tropical fish. The entrance fee is optional but not included. Afterwards, we stop at Placa Blanca in Baru island where a typical dinner will be served. 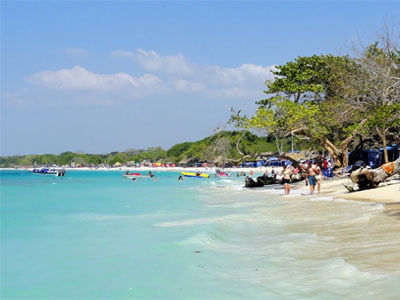 After the meal, you have one hour to enjoy the most beautiful beach of Cartagena. 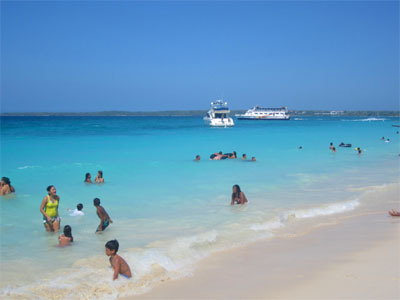 The return will be a little more eventful with the front waves.